Historical objects are most valuable, I think, for the stories they reveal about their original owners. 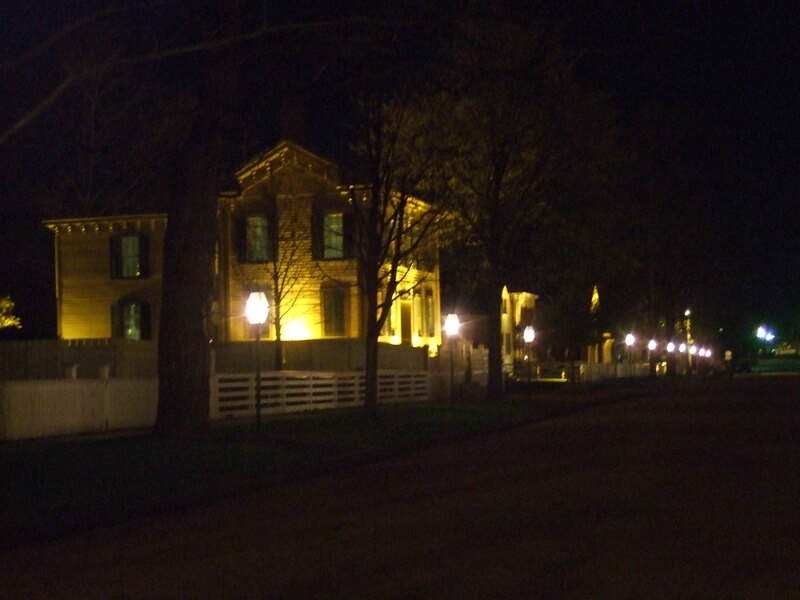 A few months ago I visited Springfield, IL with my family. 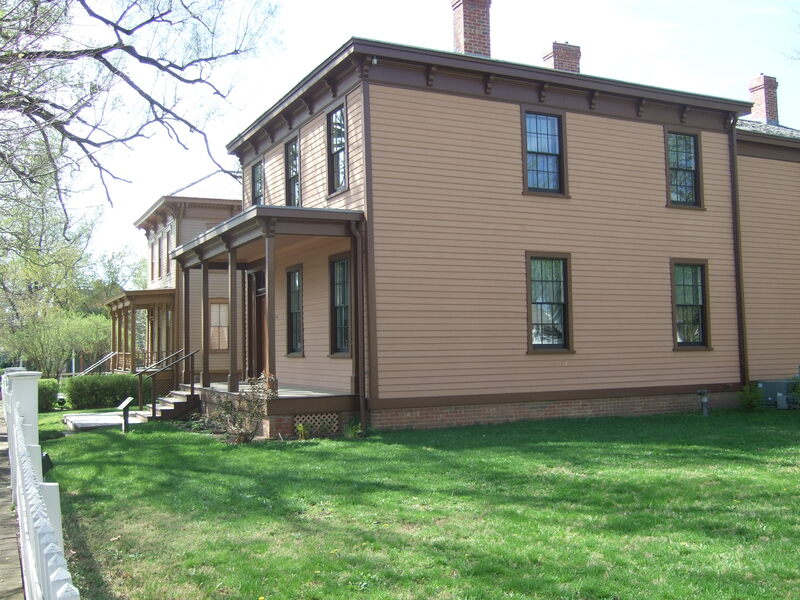 In addition to touring the Lincoln Museum, which I wrote about in The First Lady’s Gown, we visited the Lincoln Home National Historic Site. I was impressed in a big-picture way because preservationists managed to save not just the Lincoln home, but much of a four-block area. 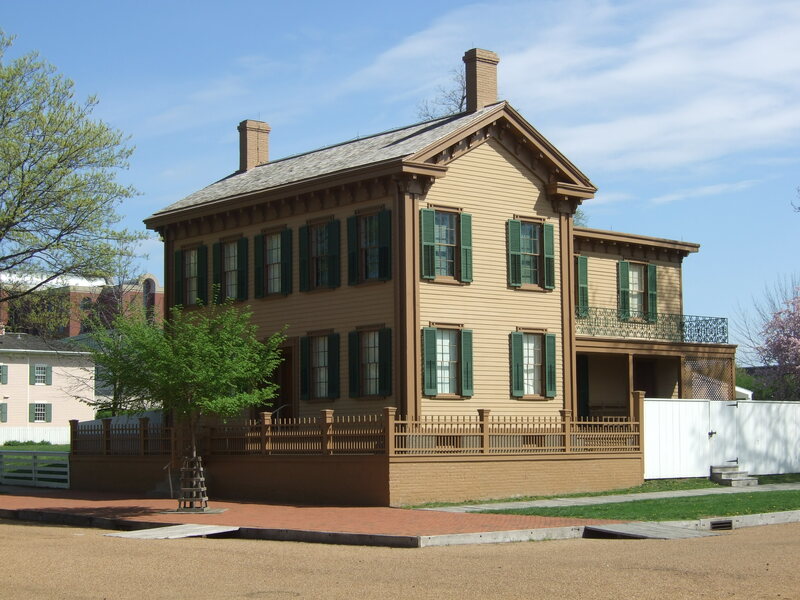 It was easy to imagine the Lincoln family in the context of their neighborhood. We visited both during the day and after dark, and the setting was evocative. But as so often happens, it was a small thing that I found most compelling. Two things, actually: original mirrors in the Lincoln home. 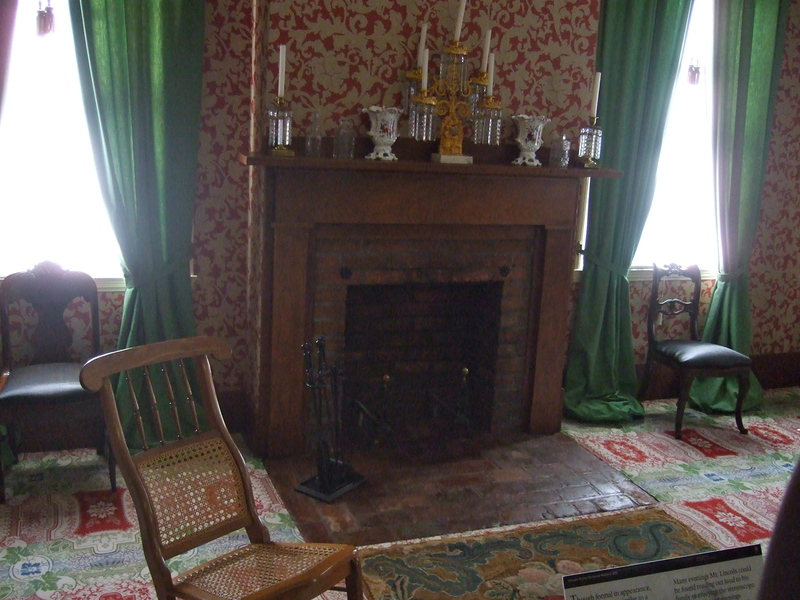 One was in the downstairs parlor once used for private family gatherings. The ranger giving the tour did a marvelous job of conjuring mental pictures of the family relaxing away from public view—Mary sewing or reading, Abraham playfully wrestling with his sons on the floor, their dog Fido curled up nearby. 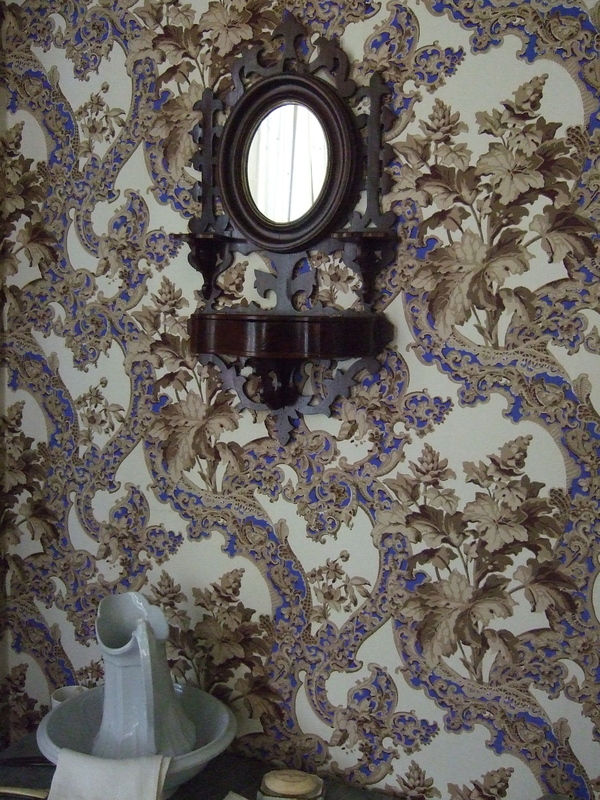 The second mirror was a small shaving mirror in an upstairs bedroom. 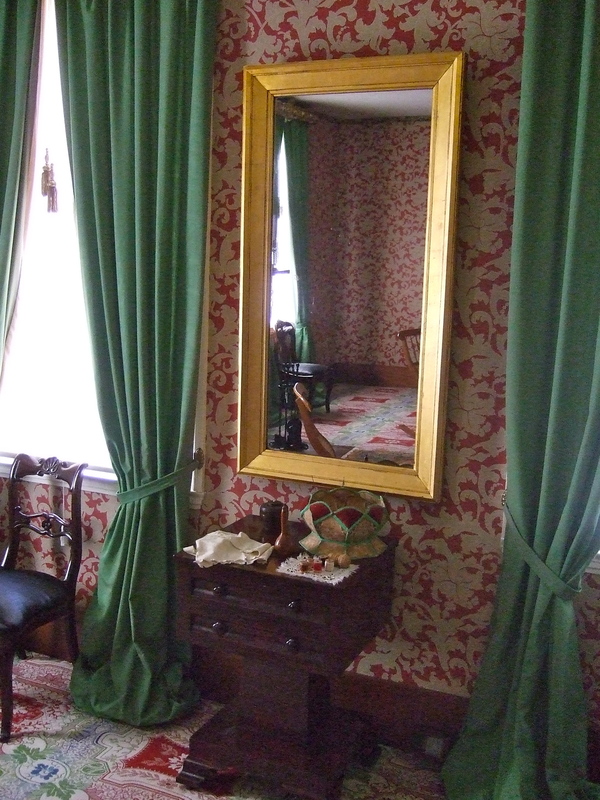 It hangs at a height that would have been appropriate for Lincoln, and is believed to be the mirror Lincoln himself mentioned in a story he told several times. 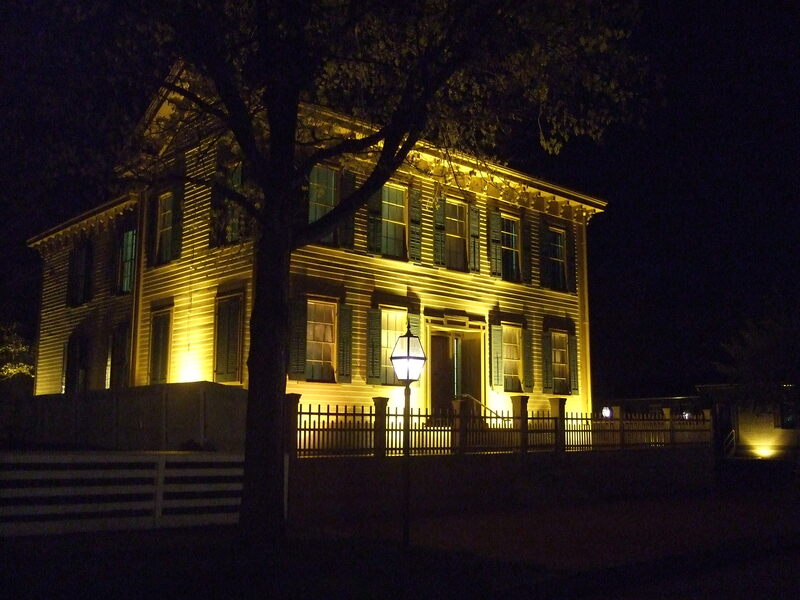 On the night of Lincoln’s first presidential election, he was relaxing upstairs and happened to glance in the mirror. He saw two reflections of his face. Lincoln looked away, looked back. It happened again. Mary Todd Lincoln interpreted her husband’s experience to mean this: He would be elected president twice, but not survive the second term. Months have passed since our visit to Springfield, and a lot of the details—even fascinating ones, about things I want to remember—are already fuzzy. But I won’t soon forget those two stories. One heart-warming, one heart-breaking…both preserved in glass.